CANaerospace - Stock Flight Systems - Designed to fly. 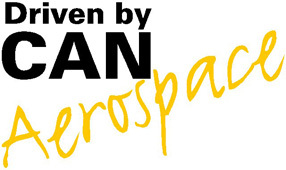 CANaerospace is an extremely lightweight protocol/data format definition which was designed for the highly reliable communication of microcomputer-based systems in airborne applications via Controller Area Network (CAN).The purpose of this definition is to create a standard for applications requiring an efficient data flow monitoring and easy time-frame synchronisation within redundant systems. The definition is kept widely open to allow implementation of user-defined message types and protocols. CANaerospace was first released in 1998 and has since then been implemented in numerous airborne applications for aircraft as large as the SOFIA Boeing 747SP. For some flight critical systems of the Ae270 IBIS aircraft, it has been certified by the US Federal Aviation Administration (FAA).